For this project we removed the old PT boards & installed Trex Enhance Composite Decking in Saddle. 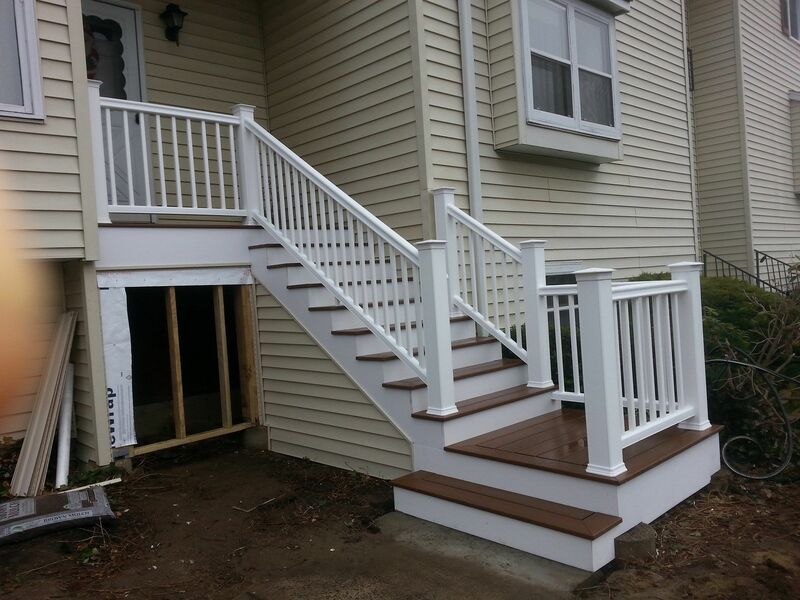 The old privacy walls were removed and the beautiful TimberTech Radiance Railing System took their place. Everyone was amazed at the transformation! The challenge at this project was that the residents only have this one way of getting in & out of their condo so we had to move fast! I'd say getting each unit done in one & a half days is pretty quick no?